PRESSE ISRAÉLITE, LA See Periodicals. PRESTER JOHN See Tribes, The Lost Ten. PREY, BIRDS OF While few clean birds are named in the Old Testament (see Poultry), there are given in Lev. xi. (13-19) and Deut. xiv. 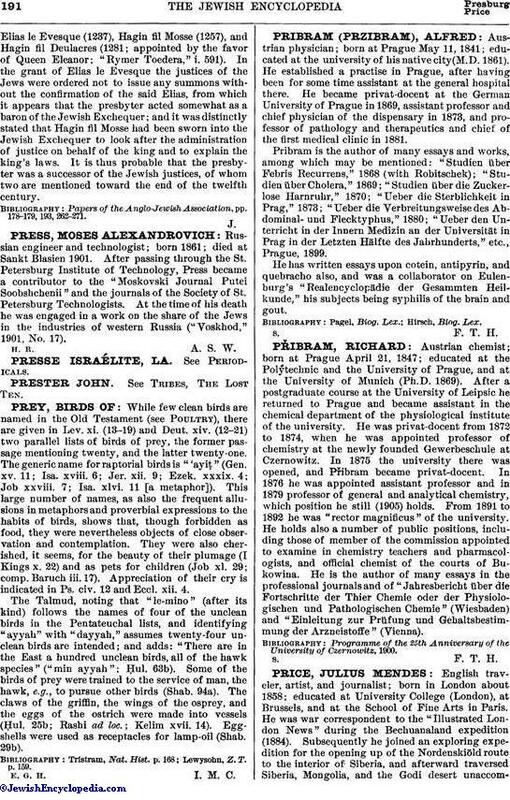 (12-21) two parallel lists of birds of prey, the former passage mentioning twenty, and the latter twenty-one.